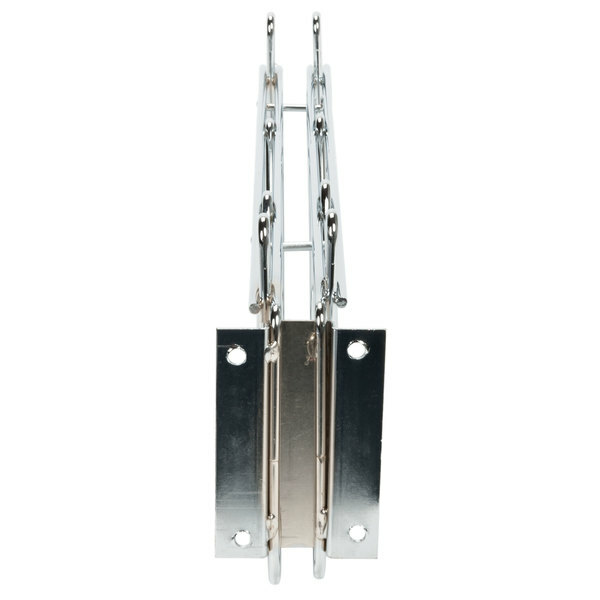 Regency's 18" deep double wall mounting bracket adjoins chrome wire shelving for extended storage or display space. 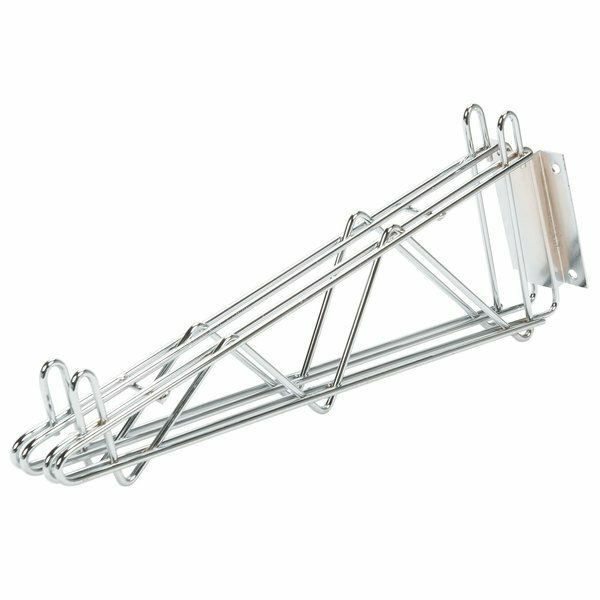 An 18" deep double wall mounting bracket from Regency is designed to adjoin adjacent chrome wire shelving. This bracket is made of 1/4" diameter chrome plated steel wire for outstanding strength and long-lasting durability. This product is ideal for use in back-of-house environments and sturdy enough to stand up to heavy loads. It is also perfect for extending front-of-house merchandising displays in markets, delis, or cafeterias. "Ordered this product to replace some old brackets that were holding up wire shelves, did the job 10 times better shelves are securely placed and look very study. Will be ordering some more soon to replace other brackets." This product is made of chrome plated steel wire that resists rust or corrosion. As such, it is the perfect choice when mounting shelving for disposables, aprons, or extra kitchen tools. 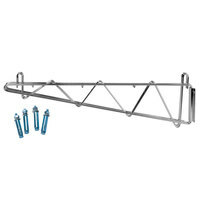 This product also comes with concrete installation mounting hardware, making setup quick and easy. 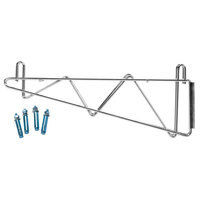 This wall mounting bracket is sturdy, heavy-duty, and space-efficient, making it a versatile option for any business. This bracket is specifically designed to adjoin 18" deep Regency wire wall shelving, thereby maximizing storage and display areas. Easy and straight-forward to install. They come with concrete anchors. The anchors were not useful for me as I mounted this to studs. If it came with 2.5" wood screws that would have been nice. We have wire shelving on wheels that we purchased from a club store a few years back. Once we moved to a smaller space we needed to move these shelves onto the walls to free up space. These brackets has saved us time and money (and our sanity!). I had no idea that these even existed and thought that our only option was to buy another set of wall shelving. Low and behold, I came across these on webtaurantstore.com and answered all our problems. These were a breeze to set up and are solid metal. We ordered 7 sets (sold in pairs), so 14. A couple were a little bent near where the screws would go in. We were able to pound them out with a hammer and good as new! Great purchase! 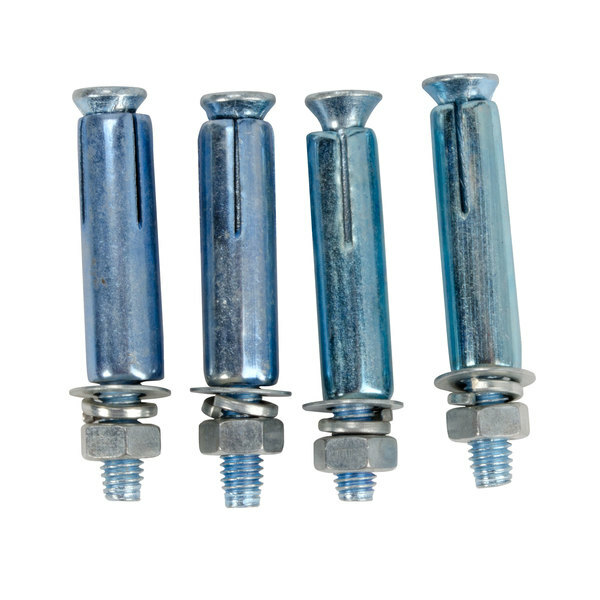 These are good they hold up our shelves and they even come with the screws if you need the hardware i used my own in studs. Just make sure you measure and have help. So far these have not bent or buckled as they are made of solid steel. The design means they are very strong. When I first was researching these, I was concerned that the single brackets would leave a 1-2" gap between ajoining shelves, and this was the perfect solution. No gap and it makes it like a continuous shelf. I have 4 shelves mounted with these. Make sure you get them in a stud or they will rip right out of your wall. I put plywood to my studs them mounted theses to the plywood. 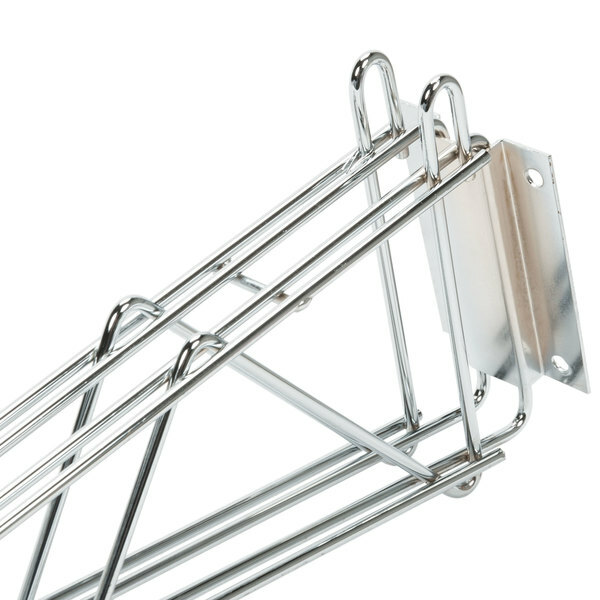 Very durable chrome wire shelving wall mounting bracket. This one is the double bracket allowing extended shelving. We put a lot of weight on this bracket, and it holds up fine. These worked perfectly with my existing chrome shelving. I could not find a lower price anywhere and believe me I searched. Shipping was very fast too! Wall mounting adjoining brackets make install shelfs next to each other. Easier to install and looks better. The shelving is easy to install, good price. We recently had to change our shelving as the old wasn't cutting it anymore. 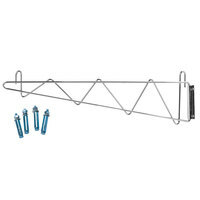 These brackets are extremely sturdy and what a great price. Very happy. Ordered this product to replace some old brackets that were holding up wire shelves, did the job 10 times better shelves are securely placed and look very study. Will be ordering some more soon to replace other brackets. The first shelf brackets we received were warped but webstaurantstore made it right and our second ones were fine. We appreciate the level of care they gave us. Regency is a great alternative to the other major brand. The price is better and the quality is the same. We love our regency shelving and pieces.